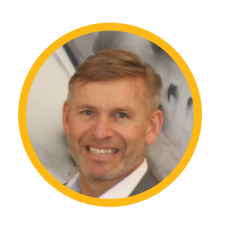 Lifetime entrepreneur and seasoned veteran of Information Technology, Peter Evans draws on more than 30 years of experience with Oracle RDBMS/ERP and BI Analytics. Seeing the growth of multi-clinic ownership in the dental industry, Peter recognized a void in the business system offerings for Dental ownership. Working with several DSOs, dentists and major dental market players, Peter validated the opportunity and founded EDMS in 2013. When not working Peter is passionate about Ice Hockey and is both a Nationally Certified Coach and Referee, skills that come in handy when building teams and managing growth. 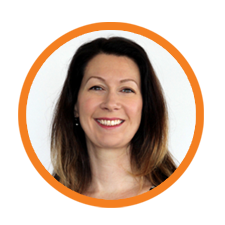 Karen leads business development and sales by connecting clinic owners with the EDMS solution. 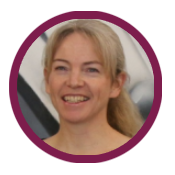 Karen is a Dental professional with over 30 years experience. She has worked in every facet of the dental industry and brings an incredible depth of knowledge to our team. Her career has spanned from front-line clinical expertise to an award winning sales rep for the largest dental supply companies in the world, to the CEO of a medium size DSO who tripled in size under her management. When not working her outside passions include fitness, traveling and relaxed time with her family. Lorraine develops the product, brand vision and marketing strategies that position EDMS for long-term growth. Lorraine has developed multiple change management strategies to implement SaaS platforms in a variety of industries. She most recently co-designed and pitched a sales enablement and marketing platform that was implemented at Canada Post Corporation. She also contributed to bringing increased gender diversity to the tech industry through an award-winning program she initiated and launched with executives at former role in a data/IT services firm. Lorraine has an Executive Masters of Business Administration from the University of Ottawa. She can often be found donating her energy to the non-profit and education sectors through volunteering, doing yoga or driving sports cars on the race track. Gina Ellis is our new Director of Business Development for the USA. 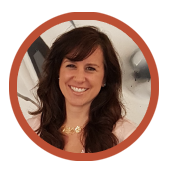 She joins the EDMS team to develop our go-to-market strategy and increase our footprint beyond the Canadian borders. Gina is a sales professional with over 10 years experience in direct and enterprise sales. She has a background in the US Healthcare & Dental markets and technology, bringing a unique combination of skills and knowledge to EDMS’ USA business development strategies. Gina is based in the suburbs of Philadelphia, PA. In her spare time you can find Gina teaching BODYCOMBAT at her local YMCA, watching her son play lacrosse or at meetings where she serves her community on Borough Council as an elected official. Catharine brings over 20 years of Information Technology experience to the firm and has played a key role in evolving EDMS to respond to changes in the dental industry. She has worked as a business analyst and IT professional in several high-profile companies such as TELUS, IHS Solutions and MDS Aero Support in Ottawa. She oversees both the internal and client-facing technology teams at EDMS and is responsible for managing external stakeholders and delivering tools in line with client business requirements. Catharine has a bachelor degree in Computer Science from Carleton University. When not managing technology teams, she is an avid participant in Spartan races and was even invited to the 2017 World Championship Spartan Games in Lake Tahoe. Victor designed the integrated systems used by the EDMS to populate its data warehouse. A business intelligence expert, he creates the algorithms that mine all data on the EDMS platform. He brings over 15 years of experience in various IT capabilities as a programmer, systems architect and data analyst. 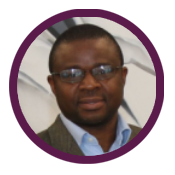 He has developed software solutions for businesses located in Africa, Europe and Canada. Victor completed his Masters in Applied statistics and Market Analysis from Belgium and holds a PhD in computer science from Queen Mary University, UK. Chris has a strong background in MySQL and MS Server and takes care of database management. He is the first contact for our clients as he manages day-to-day operations of data integration, ensuring the cloud infrastructure is optimal and efficient. Chris completed a Diploma in Computer Programming from Algonquin College. He is also a guru of video game technology. 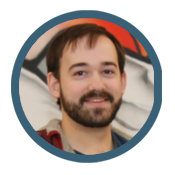 Nate oversees EDMS’ back-end software development and server management. 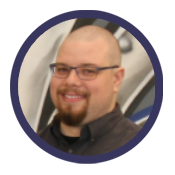 Nate’s team is responsible for designing and implementing the technical architecture that EDMS systems run on. From the Windows based systems that reside on client systems to the cloud based data management and reporting systems they constantly resolve technical issues and refactor existing applications to ensure efficiency of operations and complete security of all EDMS systems. Nate is passionate about digital security and takes your data security very, very seriously. 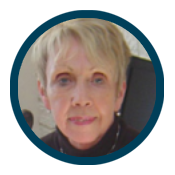 Eileen has been passionately involved in dentistry for over 55 years. Her experience left an impression on both her mind and heart and gave new meaning to ‘the gift of a smile’. Eileen pursued her education at both the university and college levels spanning courses in business, accounting, human resources, and various other continuing education. Eileen rose through the ranks from dental clinic manager to a management position in a large DSO in the late ‘80’s. She ultimately founded Partner in Peers Associated Professional Dental Group Ltd., and is the Founder and Director of the Ottawa Women Dentists Study Club. Eileen enjoys a complete and balanced lifestyle with her husband Les of over 50 years, her son and business partner Shawn, her daughter-in-law Jimena and her two wonderful grandchildren Adrian and Natalia.